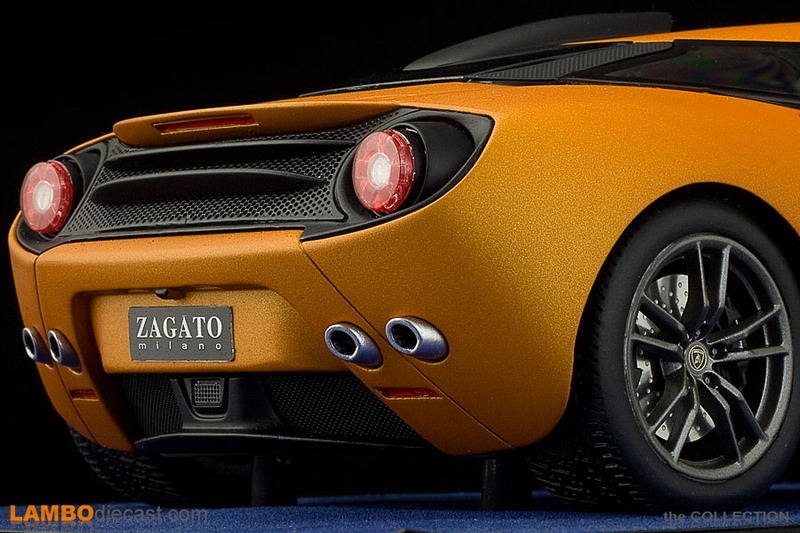 Zagato has been a renowned Italian design house since the early 1900's, they have been making very stylish, highly limited cars for over a century by now, and they even worked with Lamborghini at a very early stage, remember the 3500 GTZ, built on commission for Marquis Gerino Gerini in 1965 on a shortened Lamborghini 350 GT chassis, a second order was received from Dani Gambirasi, cousin of Giuseppe Pesenti, at that time Head of Lancia ... only two 3500 GTZ would be built. 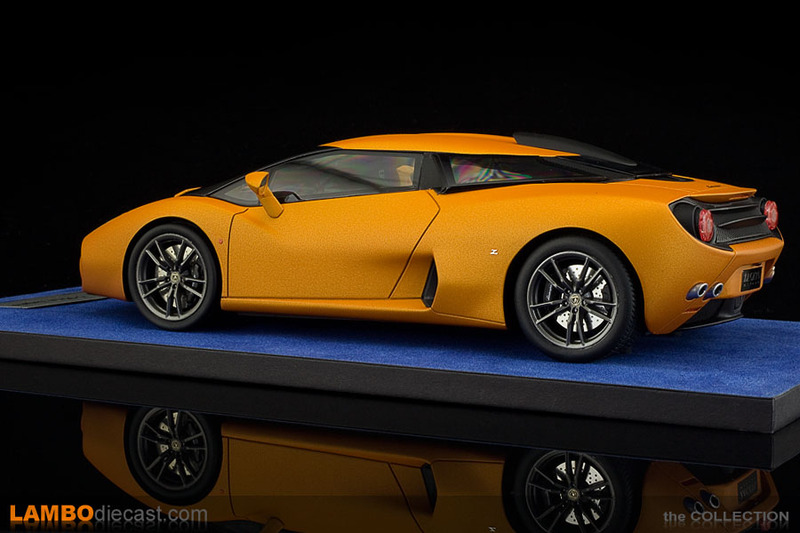 It would take another 30 years before Lamborghini and Zagato would be back together on a car, the Lamborghini Raptor shown at the 1996 Geneva Auto Show, based on the Lamborghini Diablo VT, there were intentions of building a limited production run of the Lamborghini Raptor ... but in the end, only one was ever built ... it did however open the doors for Zagato to design the long-awaited Lamborghini Diablo successor. 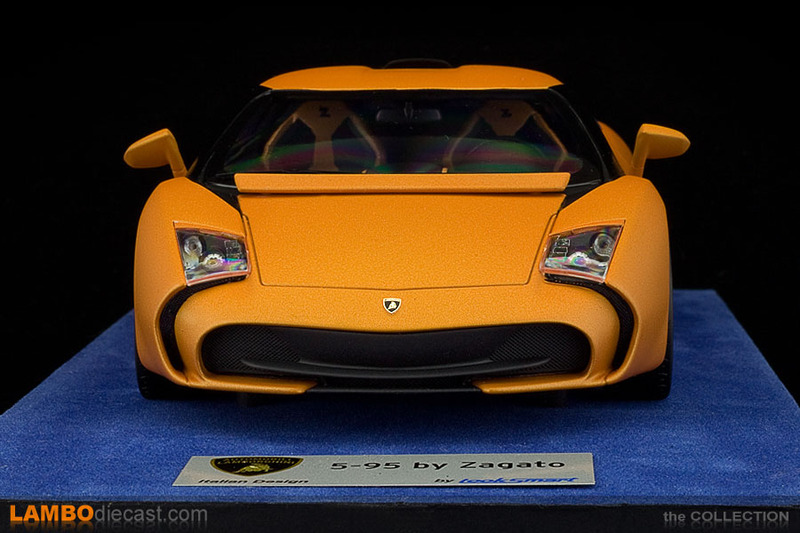 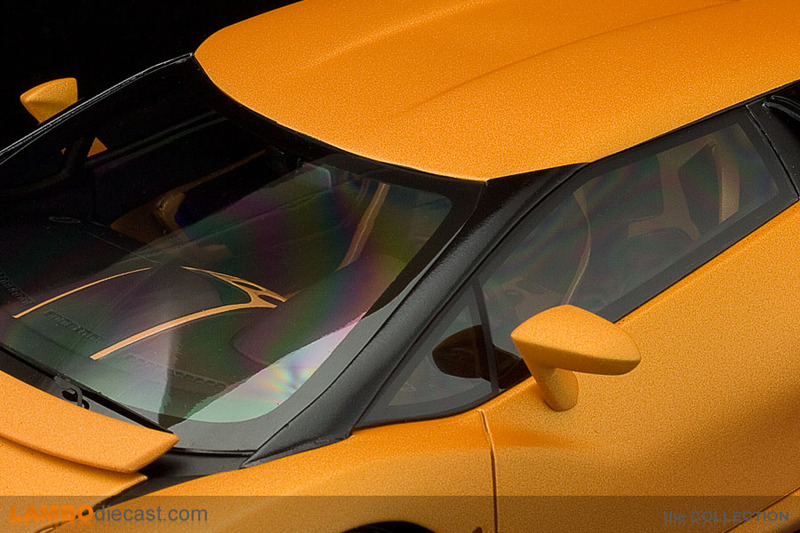 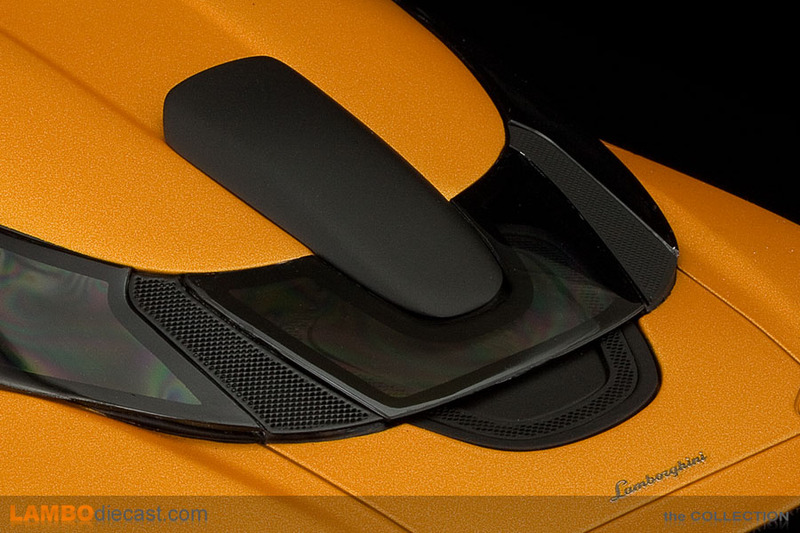 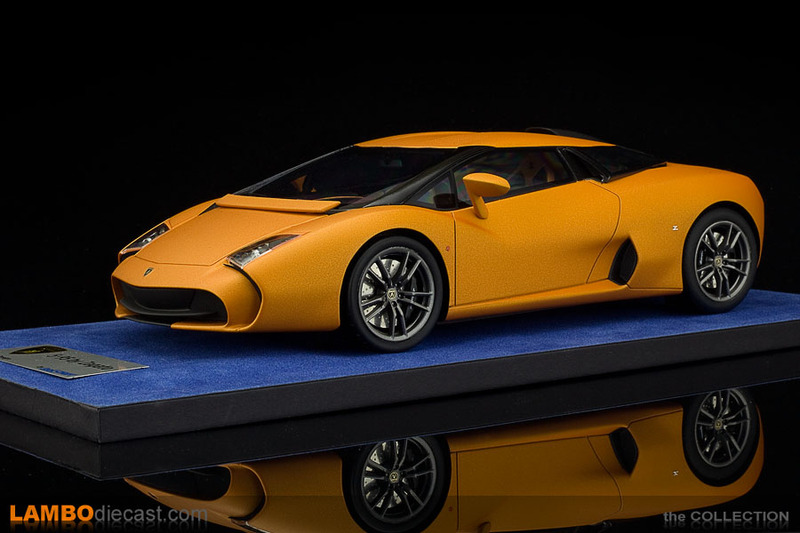 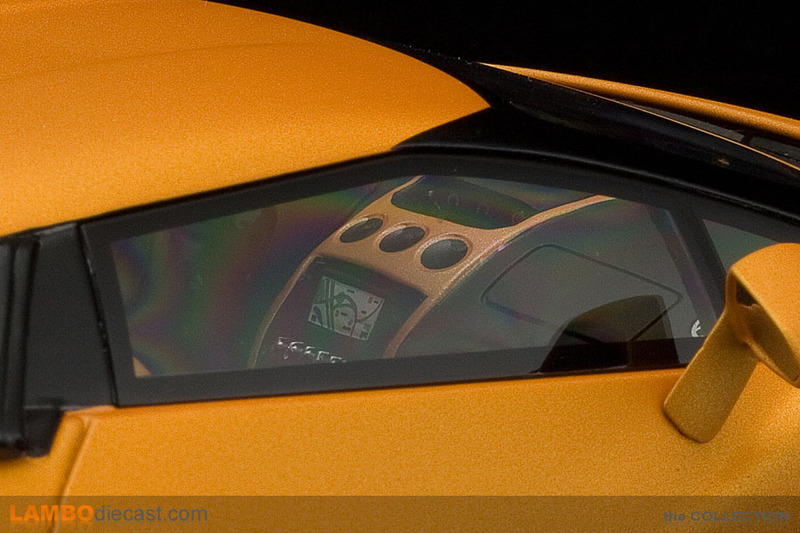 By 1999 Zagato created a few prototypes of the Lamborghini L147 Canto, also called the Super Diablo, showing a very round design with massive air intakes to cool the enlarged V12 engine, the design was rejected and in the end Belgian designer Luc Donckerwolcke would create the stunning Murciélago to take over the reign from the Diablo. 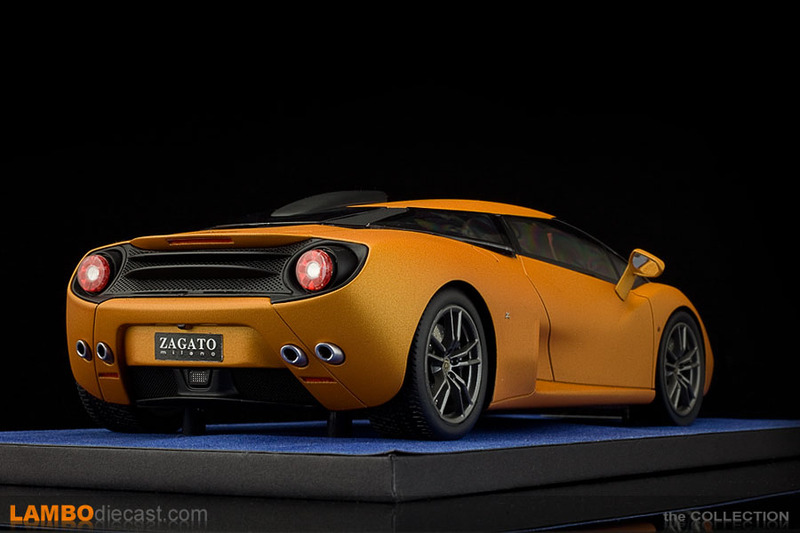 In May 2014 the names Zagato and Lamborghini once again joined together in the shape of this very special 5-95 custom built car, a commissioned build using a Gallardo LP570-4 Superleggera to create an original design combining functionalism and rationalism into an instant classic. 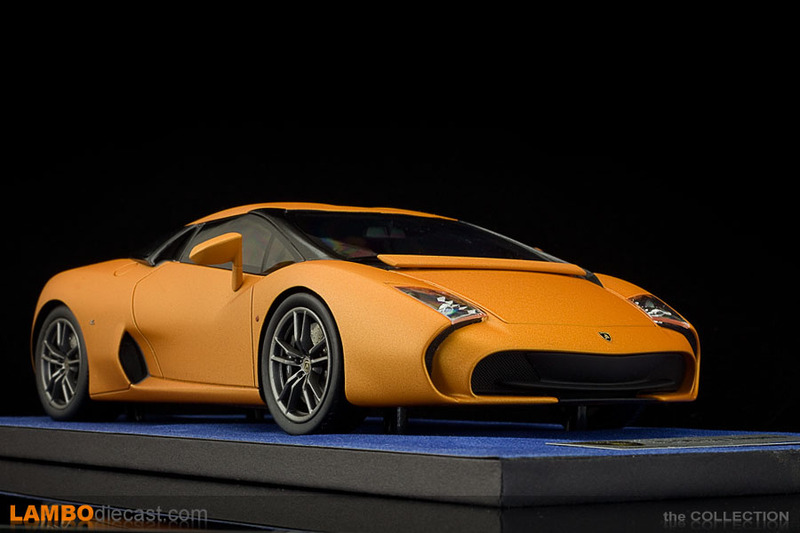 The Gallardo was chosen because it has been the most successful Lamborghini ever ... the Lamborghini 5-95 Zagato would become the centerpiece in the collection of Albert Spiess, a long time collector that also owns the 350 GTS and the Marzal for instance. 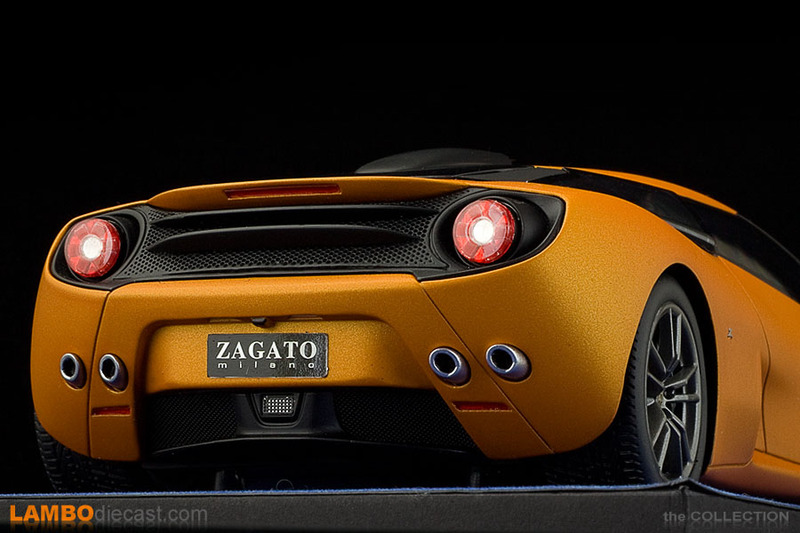 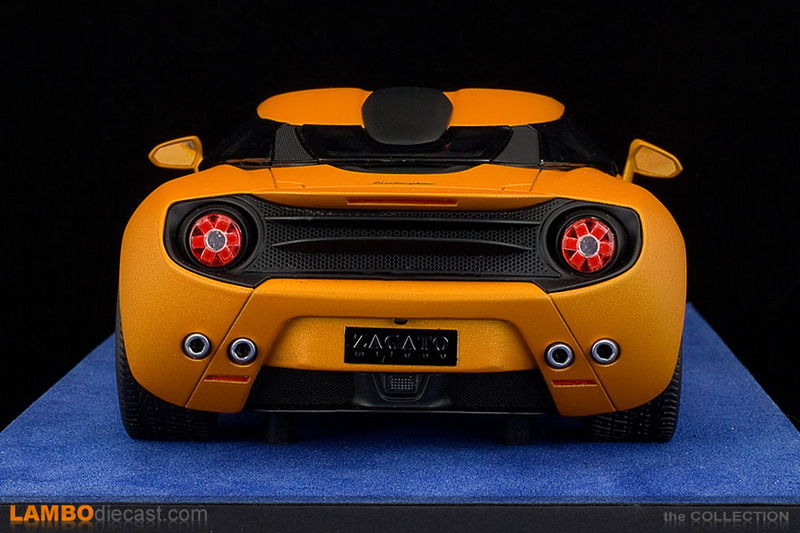 The Zagato 5-95 name has a meaning, this car was built to order, but also to commemorate the 95th anniversary of Zagato, and a limited production run on 5 units was envisioned, the first one was finished for Mr. Spiess in a satin gloss orange over titanium Scorpius wheels and a two-tone black and orange interior ... a second one was finished in glossy yellow over titanium Apollo wheels and a grey leather interior ... 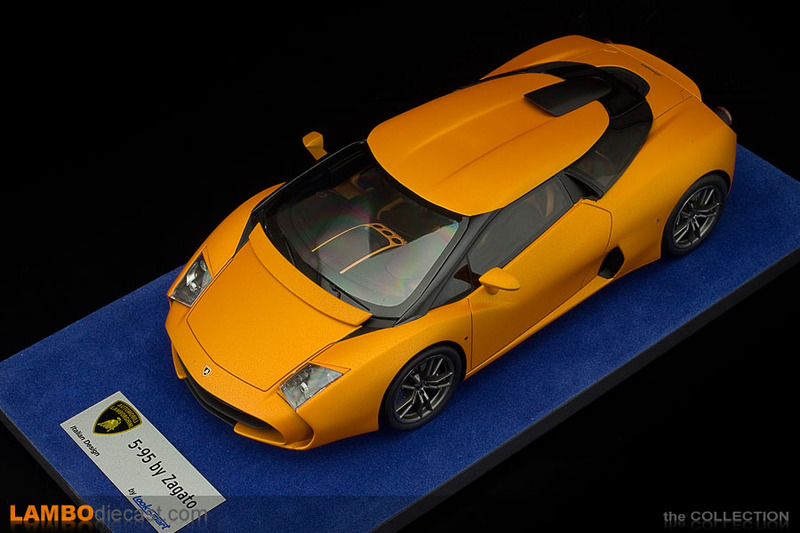 I never heard about the other three 5-95 units. 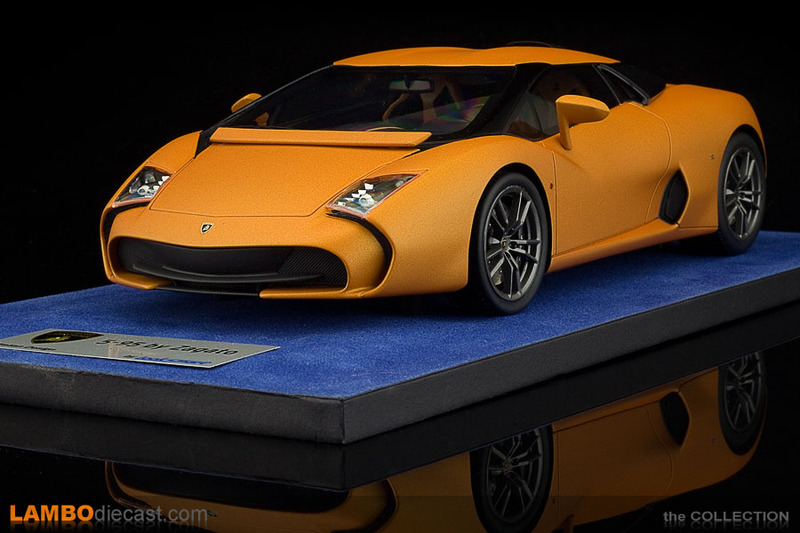 Looksmart released the 1/18 scale model of the Lamborghini 5-95 Zagato a long time ago, but I never got around to adding this one to my collection, until I found one to be listed for auction in Belgium, right in my backyard almost ... one of the reasons I never added this one before was the fact I'm not totally crazy about the styling, the 5-95 Zagato lacks some of the Lamborghini aggressiveness in my opinion, another reason was the fact I only liked this satin orange shade on the correct titanium wheels (Looksmart item LOSL18_01A) and that one isn't listed too often. 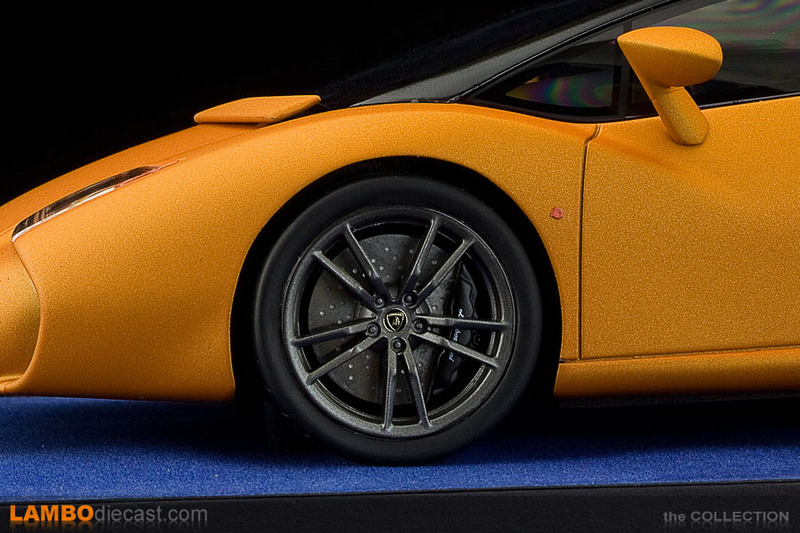 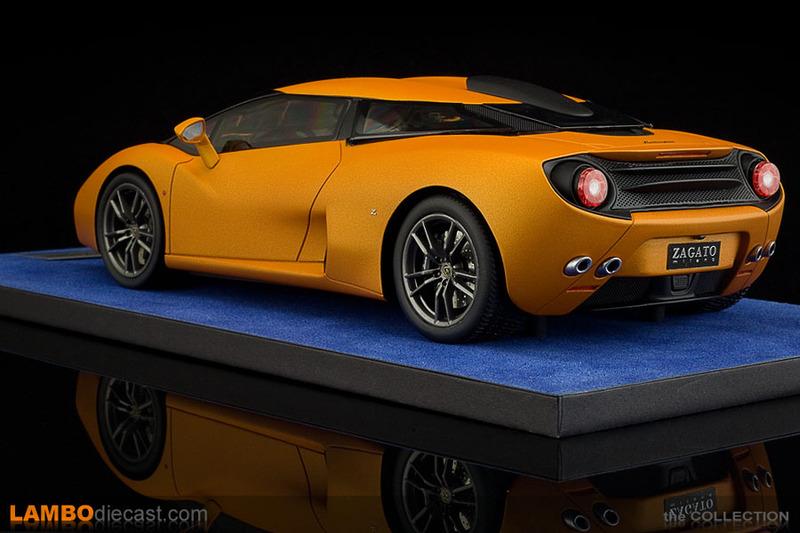 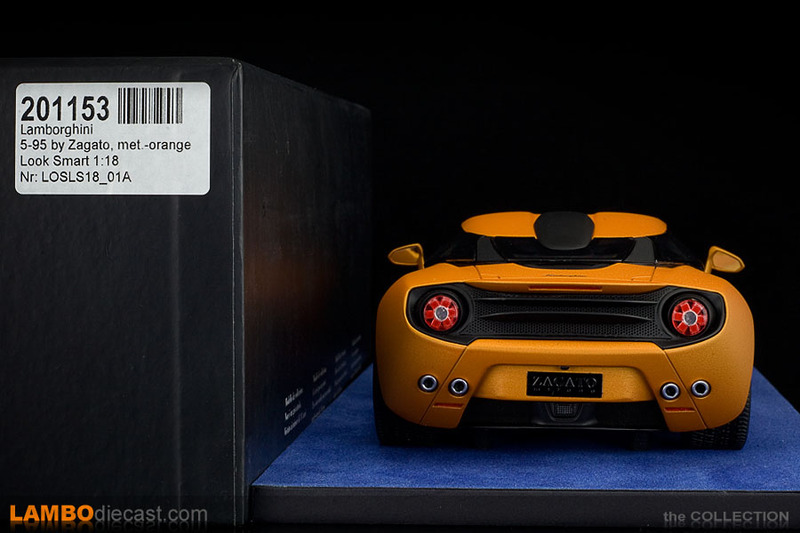 Most of the time you'll find some fantasy shade on the 1/18 Looksmart 5-95 Zagato, or the yellow one, which I don't like at all, and if you do find the satin orange one, it doesn't have the correct shade of wheels on her ... so when this one came up I tried my luck and made an offer (well below asking price) ... much to my surprise the seller accepted, I picked it up and couldn't be happier. 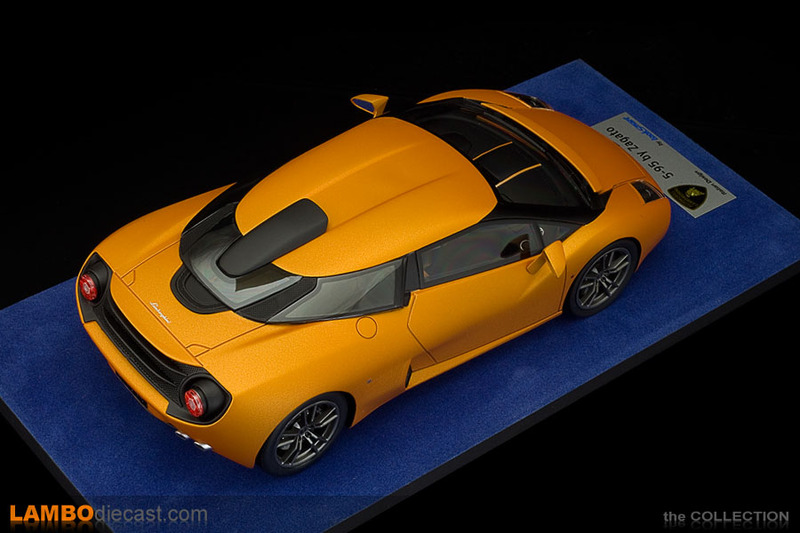 I have to admit this model looks great in real life, I don't know how the real car looks when standing next to it (I have only seen photos of her) but if I get the same impression as I do from this scale model, I will have to review my initial feelings about it ... the 5-95 Zagato looks amazing, but I still think this is the shade for her, I don't think she will look as good in glossy yellow. 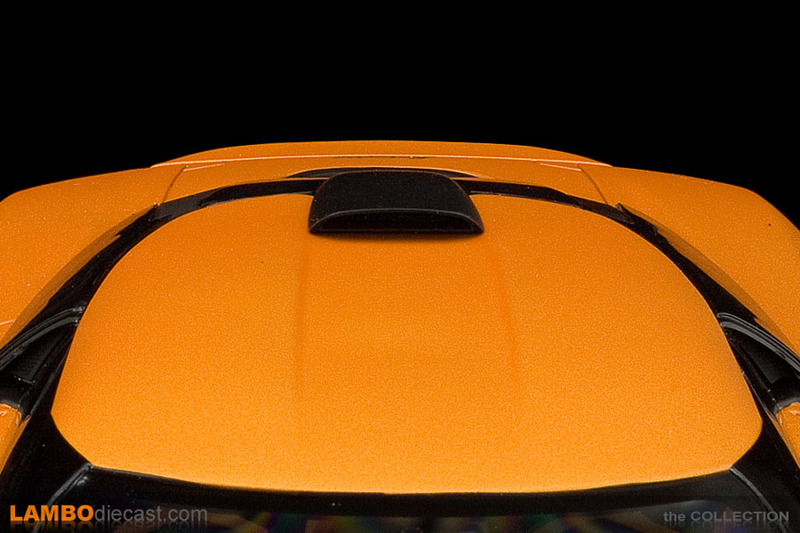 Naturally this is a sealed resin model from Looksmart, so nothing opens, but since they didn't use dark tinted windows on this model you can clearly see the interior, and it looks good, there is a small GPS map on the central console, they used a very nice combination of orange over black, and the seats look extremely nice with that orange striping and Raging Bull logo on the headrest. 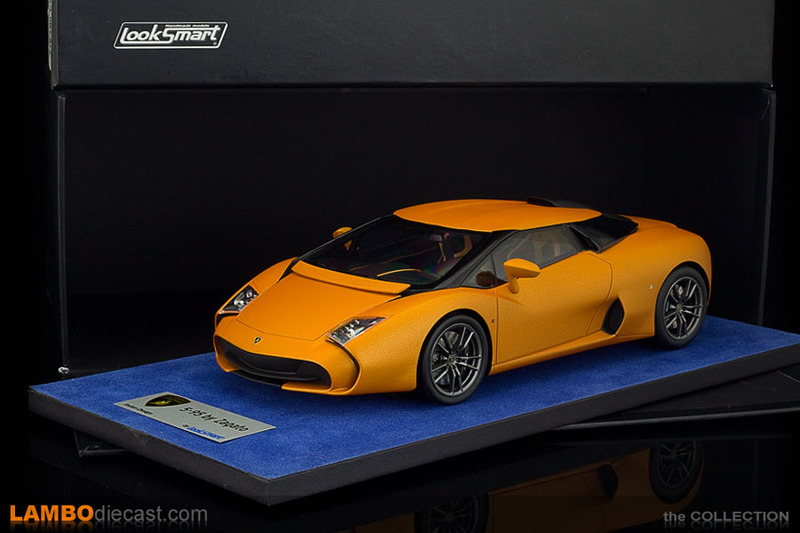 On none of my photos I could see any detail about that V10, 570hp engine inside the 5-95, so I'm going to assume Looksmart didn't replicate it at all, no problem, the attention to detail elsewhere is really great, the wheels look amazing, the disk brakes and calipers are really nicely scaled down, and those quad exhaust tips protrude ever so tightly through the rear ... and just check out the pattern inside those round taillights. 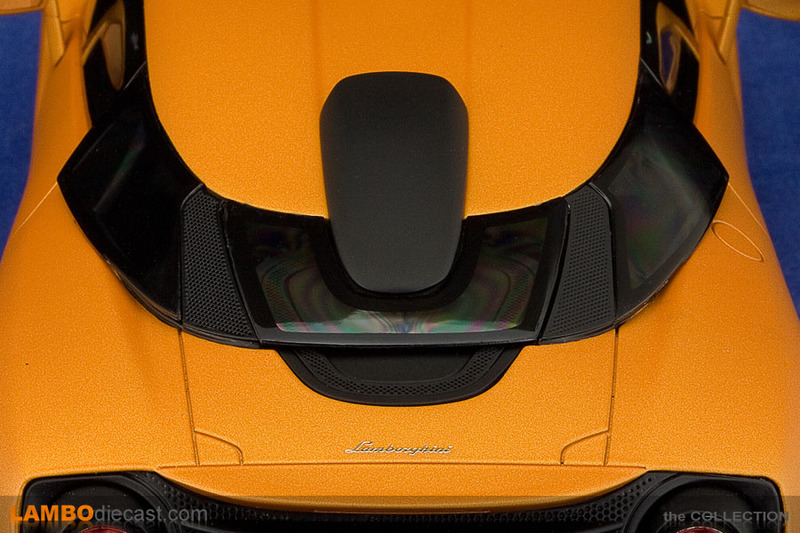 Up front, we get that large, round lower intake and thin intakes underneath the headlights ... talking about those headlights, they are a complete redesign from the Gallardo units, but they look right at home ... just in front of the windshield (which does come straight from the Gallardo) there is a small wing for added stability. 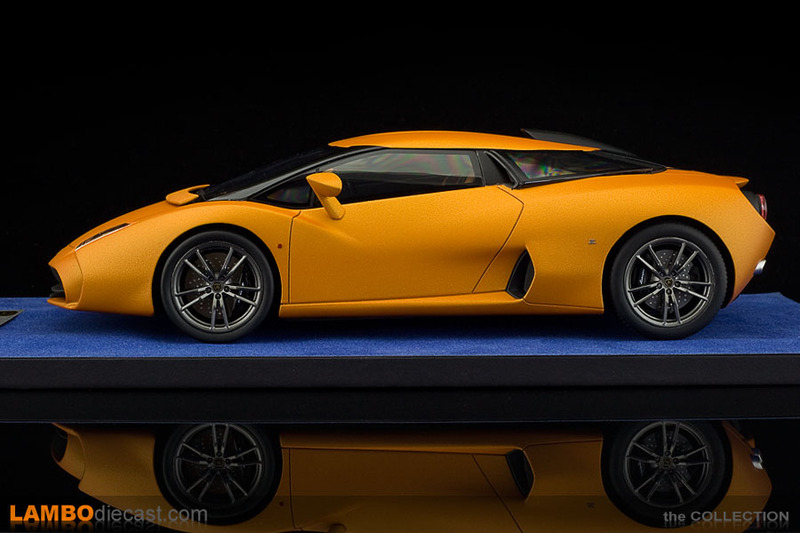 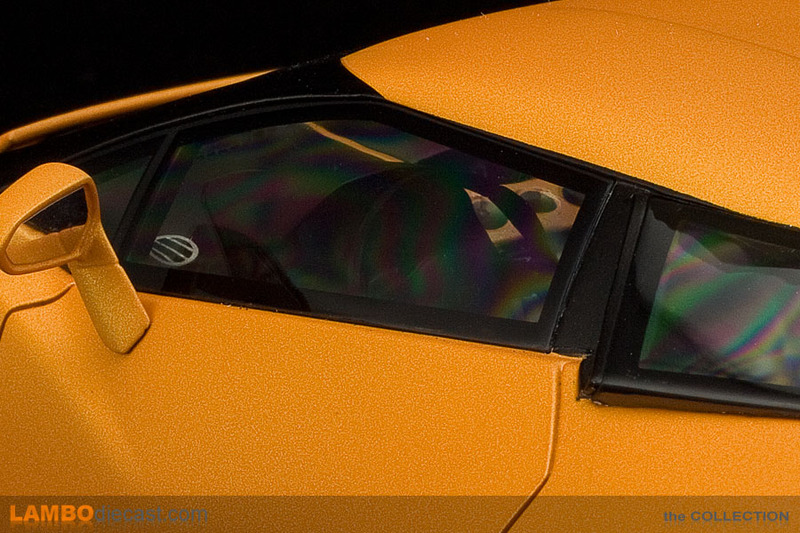 This really is a model that should be part of every Lamborghini collection. 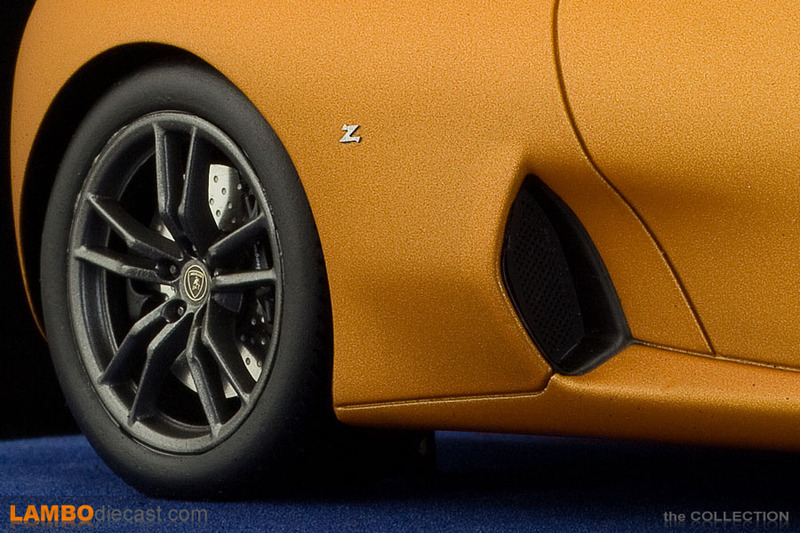 Sure it wasn't built by Automobili Lamborghini SpA in Sant'Agata, but the Zagato studio is well-known too, and simply said ... the 5-95 looks so strange, you just have to like it.